Elder abuse is a significant social problem. The number of older adults (65 years of age or older) in the US population is expected to double by 2030 to about 72 million (U.S. Census Bureau, 2010). Of this group the “oldest old,” those 85 or older, are the fastest growing segment. By 2030, their number will grow from 5.8 million to 8.7 million. As the number of older adults increases, especially those who are older and frailer, the incidence of elder abuse is expected to increase. Mistreatment of older adults often occurs in isolation and often remains undetected. The first step to addressing the problem is to heighten awareness of abuse of the old, in particular among those who serve them or have frequent contact with them. Throughout this course, you will learn about types of elder abuse, indicators, consequences, risk factors of abuse, and interventions. You will have the opportunity to test what you have learned in each section through brief quizzes. 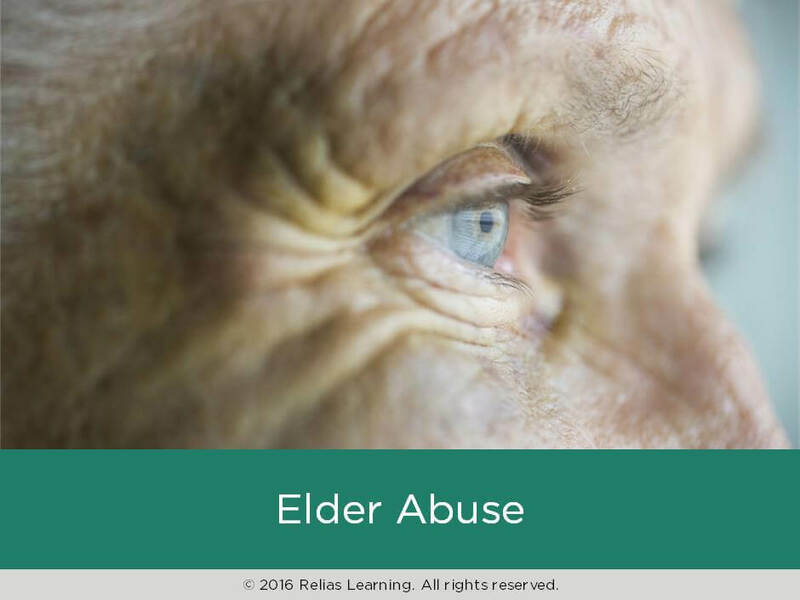 The course also offers typical elder abuse case scenarios drawn from actual case material from Adult Protective Services or other elder abuse program caseloads. (All identifying information has been modified to protect client privacy.) This course is intended for licensed clinicians across a variety of disciplines who work with older adults. Describe the nature, scope, and severity of elder abuse. Identify the types of abuse suffered by older adults. Explain the consequences of abuse for the older adult, the abuser, and society. Identify indicators of abuse for older adults. Identify options for screening older adults for abuse. Paul L. Caccamise, LMSW, ACSW is Vice President for Program at Lifespan of Greater Rochester in Rochester, NY. Lifespan is a social agency dedicated to helping older adults and their caregivers take on the challenges and opportunities of longer life. He has been involved in elder abuse work since 1985. Paul has overseen Lifespan’s Elder Abuse Prevention Program since 2002. Prior to 2002, he was the administrator for Adult Protective Services in Monroe County, NY for 17 years. He was the Project Director for the New York State Elder Abuse Prevalence Study. He has conducted numerous workshops on elder abuse issues and has spoken about the topic at national and international conferences. Paul is also a trainer for new Adult Protective Services staff in New York State. He is a licensed master social worker in NY and a member of the NASW Academy of Certified Social Workers. Disclosure: Paul L. Caccamise, LMSW, ACSW has declared that no conflict of interest, Relevant Financial Relationship or Relevant Non-Financial Relationship exists. Michael Cottone is the Program Manager for Adult Protective Services for the Trinity County Department of Health and Human Services in California. He has a Master’s degree in Human Services and is credentialed as a Human Services – Board Certified Practitioner (HS-BCP). He has worked as a Social Worker and Social Worker Supervisor in Adult Protective Services, providing response, investigation, and intervention in cases of elder and dependent adult abuse and has served as Chief Deputy Public Guardian providing probate and mental health conservatorship services to vulnerable adults. He currently serves as adjunct faculty teaching undergraduate courses in Human Services. Disclosure: Michael Cottone, MS, HS-BCP has declared that no conflict of interest, Relevant Financial Relationship or Relevant Non-Financial Relationship exists. The target audience for this course is: entry and intermediate level Marriage and Family Therapists; entry and intermediate level Professional Counselors; entry level Psychologists; entry, intermediate, and advanced level Nurses; entry, intermediate, and advanced level Social Workers; in the following settings: Health and Human Services.